CoolRocksTreasures : Product : Brown Quartz. Description: Here's a lovely one! A perfect group of Hematite included Quartz from Tom's Mountain. 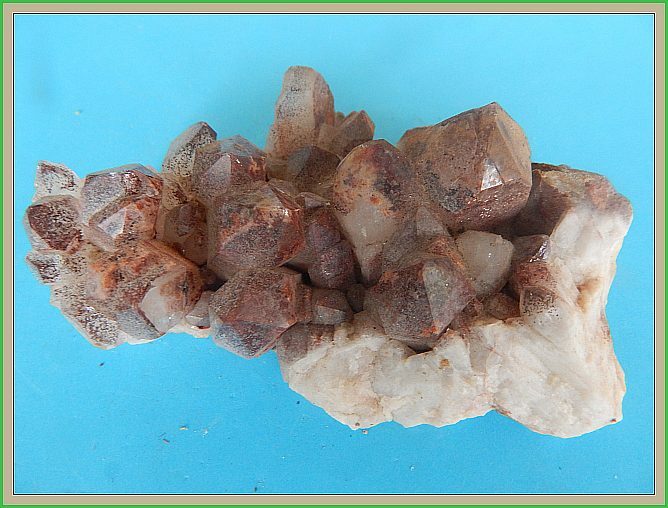 Also known as chocolate quartz. Size: 11 cm x 6 cm x 2.5 cm.